Made in the USA! 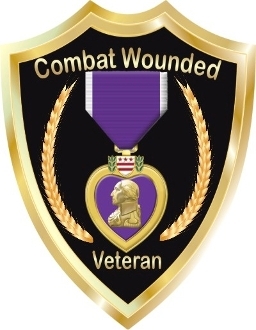 Combat Wounded Veteran Purple Heart Shield Decal. Laminated to protect and contour cut so only the shield is applied. These can be applied to glass, metal or plastic and measure 4" x 3"